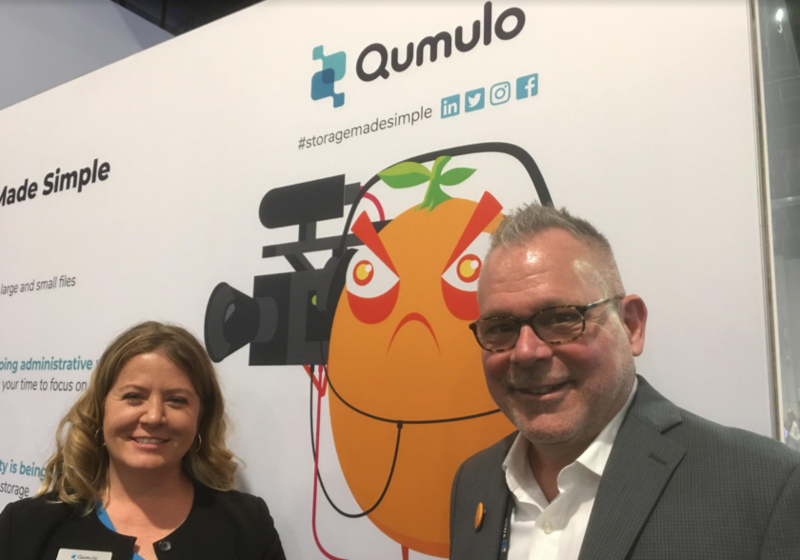 LAS VEGAS — Qumulo used NAB to introduce a new hybrid storage platform that it said delivers significant increases in read performance and storage density over previous offerings. The new C-72T delivers a 200% increase in read performance over prior entry-level nodes and a 300% boost in storage density compared to previous high-performance hybrid SSD and HDD platform options, the company said April 8 in a news release. The C-72T allows customers to start at less than 200 TB of capacity and scales to beyond 3 PB affordably in 1U, linearly scalable increments, Qumulo said. In comparison, “many other solutions often require organizations to select a very large hardware configuration in order to be economical, or choose a small solution that doesn’t scale,” the company pointed out. “Customers used to have choose which one they want” between capacity versus entry point, performance versus price, or scale versus incremental cost, according to Molly Presley, Qumulo director of product marketing. While doubling throughput performance, Qumulo has also reduced latency by 50% since NAB 2018, according to the company. It’s been able to bring latency down to only about 2 milliseconds, Presley told MESA. The “big trend” that Qumulo is seeing in the industry is that “hybrid has gone from being a term to an actual path that customers are investing in,” Peter Zaballos, its chief marketing officer, told MESA. “They’re in different stages of their journeys, but almost everyone we talk to is exploring how they can take advantage of the flexibility of the cloud,” as well as “the agility” that it offers, he said. Qumulo also introduced advancements in its cross-protocol capabilities, announcing automated Cross-Protocol Permissions (XPP) capabilities that it said, “allow teams to work seamlessly across computing platforms and networking protocols.” System administrators can now allow users on Windows, Linux and macOS platforms to safely collaborate without requiring the system administrator to create elaborate permissions safeguards and inheritance schemes, according to Qumulo. XPP lets users access and collaborate on the same sets of files over Server Message Block (SMB) and Network File System (NFS) protocols without concern over permissions compatibility, it noted. Also, in response to customer demand for S3 protocol support, Qumulo announced a certified solution with MinIO, Inc. for its Minio open source object storage server. The new solution will enable customers to run both file and object workloads from the same storage infrastructure, it said. 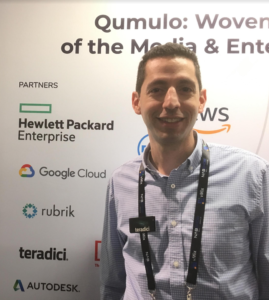 Only a few days earlier, Qumulo announced a significant expansion of its cloud portfolio, including the introduction of two new products – Qumulo CloudStudio and Qumulo CloudContinuity – as well as support for Qumulo’s cloud-native, distributed hybrid file system on the Google Cloud Platform (GCP). C-72T, Qumulo CloudStudio and CloudContinuity are all being touted by the company at its NAB booth this week, along with its software’s performance capabilities for streaming, as well as real-time data analytics and the ability to enable burst rendering to the cloud. Qumulo file storage is being rapidly adopted in M&E use cases including broadcast, visual effects, post-production and archive, it said, pointing out that some of the many notable customers using Qumulo solutions include: 9 Story Media Group, Ant Farm, Atomic Fiction, Awesometown, Blind Studios, Crafty Apes, The DAVE School, Deluxe VR, DreamWorks Animation, Eight Solutions, Falcon’s Creative, FotoKem, FuseFX, Intelligent Creatures, Mr. X, MSG Networks, Pipeline Studios, Pure Imagination, REDLAB, RodeoFX, Sportvision and ZOIC Studios. The PCoIP Ultra protocol enhancements that were announced just before NAB had “been in the works at Teradici for a while,” Ziad Lammam, VP of product management and marketing at the company told MESA at the show April 8. “So far, reception has been really good” to the enhancements among customers, he said. The initial enhancements included 4K Ultra High-Def (UHD) high frame rate content support, efficient scaling across multicore CPUs leveraging AVX2 instruction sets and expanded multi-codec architecture for third-party codecs, including H.264/HEVC. “It was just the first announcement,” Lammam stressed to MESA at NAB. “We do plan a lot more over the next year,” including new content formats and better performance, he said, echoing what Teradici CEO David Smith said ahead of the show. “There’s a lot more in the works, Lammam said. Teradici’s offerings are being touted by several partner companies at the show this week, including at the Qumulo booth. 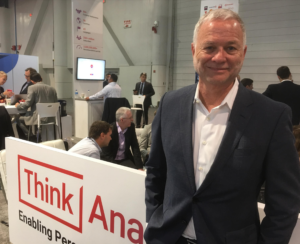 At NAB, ThinkAnalytics is focused on “the nexus between data science and information science,” Gabriel Berger, its CEO, told MESA at the show April 8. “What we’re seeing more and more is the importance” of metadata, he said. And “best practices [are] just as important as the algorithms that we design and the machine learning and artificial intelligence that we use every day,” he said. ThinkAnalytics has “several deals that we have closed that are launching, and we’ll be making those announcements very soon,” he went on to tell us. At NAB, ThinkAnalytics is showcasing a number of its use cases from leading operators worldwide, including AVOD, SVOD and STB initiatives, all of which resonate with studios and networks, the company said ahead of the show. ThinkAnalytics is experiencing growing traction from major U.S. TV networks and Hollywood studios alike, who are investing in new over-the-top (OTT) initiatives that take advantage of new distribution strategies and their strong consumer brands, it said. The firm’s worldwide portfolio of content and subscriber intelligence solutions is proven to boost viewer engagement and loyalty with direct-to-consumer OTT and STB services. ThinkAnalytics also said it’s seeing a significant resurgence in the U.S. for its content discovery, viewer insight and enhanced metadata management solutions. This follows a period of global expansion and major wins with the likes of the BBC, DAZN, Deutsche Telekom, Tata Sky and other international broadcasters and OTT players.